App explainer is a highly engaging and effective way to tell your potential customers what your app is about and how it can help them. App explainer videos connect with your audience on an emotional level, combining attractive visuals, animations & informative audio, to boost your brand image and engagements. An app explainer video is an engaging video and a successful approach that helps showcase the unique features and benefits of an application. An app explainer video aims at educating viewers on how to use the application. Western Union is a leader in global payment services. It helps people and businesses move money and to help grow economies and realize a better world. With its mobile app, the power to send money around the world is in your pocket. The mobile app explainer animated video shows how you can partner with Western Union Bill Payments to build and execute your mobile payment strategy. Embark is a global public transport app which helps people to get to their destination and also shows the best way to get there. Interact with the screens just by being near to them and go through the best content which you can save or share. The mobile app explainer animated video shows how Embark lets you know the best and cheapest way to get to your destination. eFindr is a smart app that knows which of your friends has the profession you need. People call for any work they need, whether it’s a plumber, web designer, accountant or whoever you’re looking for. The mobile app explainer animated video showcases how eFindr uses the power of your contacts to connect you with quality experts you can trust. Onlife Health is a comprehensive wellness solutions company. It works with large employers and helps members focus on engagement techniques that form lasting habits. It gives you insights as well as proven techniques to engage your members and create a culture of health. The mobile app explainer animated video gives an overview of Onlife Health. Plato combines chat and games seamlessly as the first messenger built for multiplayer games. Bored by playing the same boring games alone, then Plato is the best place not only to play multiplayer games but also chat with friends or with anyone from around the world. The mobile app explainer animated video showcases how Plato always keeps you engaged! Speak On is a revolutionary messaging app with an international flare. It comes loaded with all the features like self destructing messages to robust translation. You can chat in any language, with 90+ languages supported, it has made sure your friends understand you. The mobile app explainer animated video showcases SpeakOn, a mobile app that has all the features a messaging app needs. Tomo network and Tomocoin are a leading part of this phenomenon through seamlessly merging social and consumer applications. It has cryptocurrencies which have unique blockchain architecture, allowing for fast, frictionless payment and a secure, decentralized and trustworthy store of value. The mobile app explainer animated video showcases the benefits of Tomocoin. Traveloka is a company that provides airline and hotel ticketing services online with the focus of domestic travel in Indonesia. It works with airlines around the world to fly you wherever you want. People get flight price alert, can easily reschedule and stay guarantee. The mobile app explainer animated video showcases how easy and flexible it is you book tickets with the help of Traveloka app. TradeHero is a mobile stock market simulation app. It lets you become a trading hero, gain followers and earn subscription fees, by ranking the performance of your virtual stock portfolio against other TradeHero users. The mobile app explainer animated video shows how TradeHero app lets you master your trading skills. Remente is an app for personal and organisational development. It takes knowledge and science from brain fitness, psychology and mental training, making it accessible and engaging for everyone. The mobile app explainer animated video highlights how Remente helps in personal development, so you can grow to your full potential. Text Me Up app is a mobile communication app that offers rich mobile communication for free to anyone in the world. In 2012, TextMe became the first application to offer SMS, rich messaging, voice and video calling on both iOS and Android. The mobile app explainer animated video showcases how TextMe allows users to create multiple burnable phone numbers and manage them from a single app. Forget paper tickets, Raffall is an exciting platform that enables you to win real prizes by entering real raffles hosted by other users, all at the lowest fixed odds. All features stem from its core ethos and desire to offer users both 100% security as well as complete transparency on a fun and easy-to-use platform that modernises raffles. The mobile app explainer animated video shows how you can win prizes by booking tickets or buy things at Raffall. Wisely is a mobile application that generates shopping and dining recommendations based on user transaction data, rather than user reviews. It also allows users to manage personal finances, by connecting to its users’ credit cards, which allows users to set a budget, monitor their purchases over time, and identify fraudulent transactions. 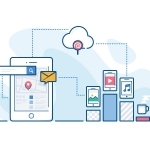 The mobile app explainer animated video showcases all the features Wisely has up its sleeve. Need Done was founded in 2014 by parents to solve a prevalent problem that all working parents face. It makes it easy to reach out to all your friends favourite go-to people when life gets nuts. Whether cleaning up a mess, scrambling for a sitter, helping an elderly parent or just trying to get a handle on the week ahead, get the help you need at the push of a button. The mobile app explainer animated video shows that whenever you need help, Need Done is at your service. Latchkid app is a smartphone app which allows latchkey kids to get involved in basic household management. The children can choose to do simple daily domestic work and also earn points and get gifts. The mobile app explainer animated video showcases all the chores the kids can do to earn points. Eazi-Apps is an established mobile marketing network that specialises in building mobile apps for business. Eazi has simple objective to help bring in new business and increase repeat customers. Watch the mobile app intro animated video to know more on how Eazi helps with its cost effective mobile solutions for businesses. Fixy app is a one station to fix anything at your place. No need of calling now and then to different persons for different work, people can simply appoint a person by just clicking at one place and selecting the work to be done at a particular time according to your comfort. The mobile app intro animated video shows some of the services offered by Fixy and its user interface. Parts Detect is a mobile app that allows automotive repair professionals to find aftermarket and OEM parts within seconds. It provides a platform for sharing your products instantly to industry professionals showing location, warranty, availability and more. The mobile app intro animated video shows how easy it is to get started with Parts Detect. With RTA App you can instantly top up your Nol card and view your balance transaction history. People can easily recharge their RTA card, just download the RTA public transport app and connect to your Nol card with NFC and you can recharge it instantly. The mobile app intro animated video shows how RTA allows you to recharge your Nol card and transfer Nol credit from one card to another. Kofax is a leading provider of smart process applications that simplify the business. It combines market leading capture, analytics and mobile capabilities that enable organizations to increase their responsiveness to customers with their app. The mobile app intro animated video shows how Kofax Capture eliminates the difficulties related to insurance claims by automating claim activity. With the above mobile app intro examples, it’s evident that companies are fast integrating videos in their marketing campaigns and various other touchpoints. If you are planning to develop these videos, a good start is to develop a brief of what can be the tone and style for your videos. We advise you to be different and unique while you create your messaging through the videos.